Hello folks! How’s your week been? The sunshine has been absolutely glorious, hasn’t it? I’ve been hanging outside for as long as possible these days and the fact that it doesn’t get dark until later in the evenings, well, it’s fantastic! 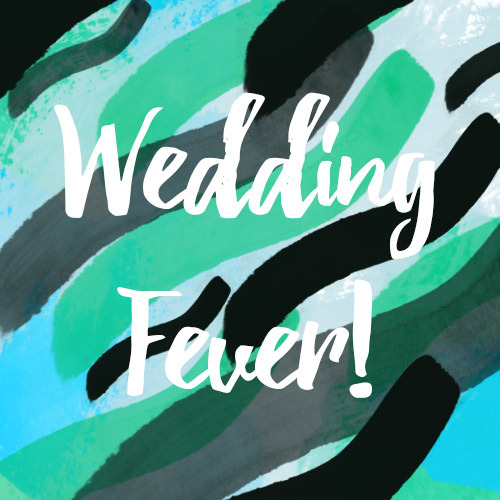 I spent the half-term designing the wedding invites and I’m so happy with them! I showed Sam them the other evening and he’s over the moon. Unfortunately, I can’t reveal anything as it would be a bit of a bummer to post it here waaaaay before any friends or families have seen them. All will be revealed very soon- I promise! I wanted to spend this post showing some more wedding ideas- this time on accessories for the bride, decoration inspiration and more! It’s going to be an explosion of colours this post. In my first post I touched upon the style of the wedding dress that I wanted-and to go with it- if I could find an interesting headpiece or embroidered gloves to go with it then, hell yeah, I’ll be going for it. Think: quirky, different, surreal. By now, my Pinterest boards are filled with beautiful images of all things flower-related: pattern designs, dresses, books, decoration ideas etc. I’m in the mood for big, bright and gorgeous flowers- even it if means wearing some on my head I’ll be totally happy with that. I came across a couple of DIY tutorials of how to make gigantic flower decorations so I thought I’d give it a go in the summer and experiment with different coloured crepe paper. This also includes roping in friends for the afternoon to give me a helping hand! I’m not exactly a technical wiz when it comes to paper craft, however, I’m more than happy to put some elbow grease into it and crack on with it (whilst drinking copious amounts of wine). I’m going to round up the last part of the post with some ideas and inspiration for the location. Now, we’ve been talking about this for a while. We still need to 100% confirm on the area since most of our friends and families are based up and down the country, with some living in the USA and in New Zealand. This of course means we have to take into account how easy and accessible it is to get to the area since some people drive and others will be public transporting it (or carpooling). So the location is very important to us as obviously we don’t want it to be a mission for people to get there and to. So we’re looking into hiring out a village hall and possibly having a marquee as it’d be lovely to have the ceremony outside even if it’s chucking it down. I’m going to end it there and if anyone has any tips or advice please send them my way! Have a lovely week wherever you are!